Stay aware of what’s happening at home, even when you’re away. From monitoring your home's temperature to knowing who's knocking at the door, we've got you covered. The SafeTouch Smart Thermostat takes the guess-work out of saving energy, and lets your home act for you – based on your location, activity, and even the weather conditions. The SafeTouch Smart Doorbell Camera is completely integrated into your smart home security system, letting you see who's at the door whether you're home or not, have a two-way audio conversation with visitors through your Alarm.com app, and even unlock your front door's smart lock from the same screen. The SafeTouch Outdoor Camera is also completely integrated into your smart home security system allowing you to view outside activity through live feeds on your phone, tablet or computer. See what’s happening anywhere on your property, at any time. 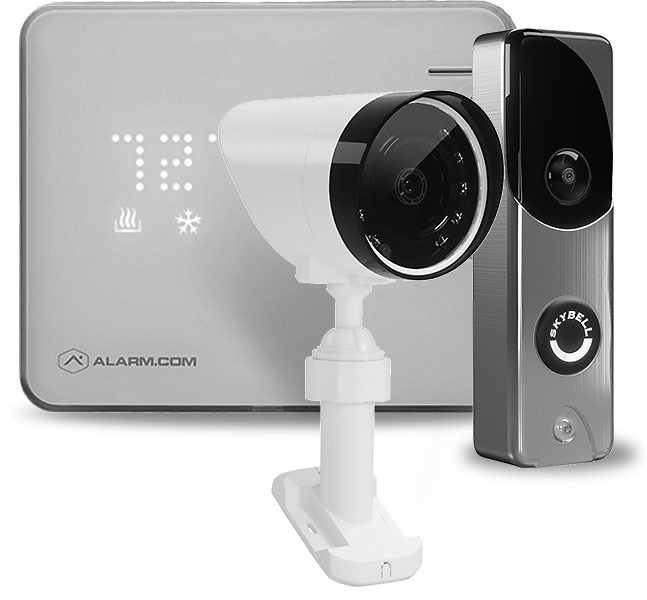 *SafeTouch Smart Home products are available through our Advantage and Pro security plans.